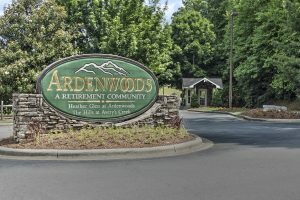 Ardenwoods is the ideal setting for active senior living with easy access to all that Asheville and Hendersonville have to offer. Both cities have been nationally recognized for their unique shopping, wonderful dining, exceptional cultural venues and museums, and an ever-changing lineup of fun and engaging local events. 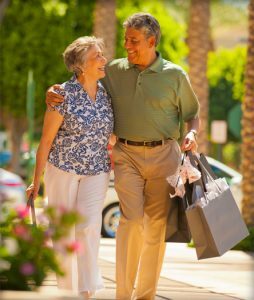 Each season the Ardenwoods Community Life Services Director plans a complete calendar of cultural, recreational, and social opportunities, so you can experience everything our beautiful area has to offer. The Asheville/Hendersonville area has become a destination for “foodies,” renowned for its distinctive farm-to- table dining scene and numerous local and national craft breweries. The Winery at Biltmore, located on Asheville’s Biltmore Estate, is the most visited winery in the country. Vibrant downtown Asheville has received many national accolades and is brimming with unique locally-owned shops offering antiques, clothing, and jewelry. For book lovers, Asheville boasts two legendary bookstores, Malaprops and Captain’s Bookshelf. Asheville is also home to many craft artisans whose work you’ll find in the city’s abundance of galleries. Asheville’s River Arts District, comprised of 22 former industrial and historic buildings along a one-mile stretch of the French Broad River, houses more than 200 working artists. 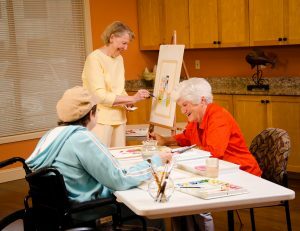 The Asheville/Hendersonville area offers a vibrant arts and cultural scene, including such venues as the Asheville Art Museum, Asheville Museum of Science, Diana Wortham Theatre, and the Folk Art Center featuring crafts by artists from Southern Appalachia with three fine art galleries and daily demonstrations. 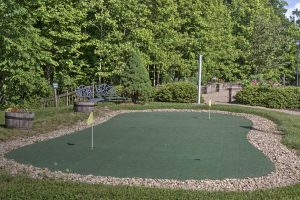 You’ll also find some quirky, fun venues such as the Asheville Pinball Museum, Asheville Radio Museum, and an antique car museum at historic Grovewood Village. In nearby Cherokee, North Carolina, you’ll find the museum of the Cherokee and Oconaluftee Indian village where visitors can experience Cherokee culture and history. The State Theatre of North Carolina, Flat Rock Playhouse, located in Flat Rock, is one of the finest regional playhouses in the country. Fans of music and dance will also enjoy Asheville and Hendersonville’s Symphony Orchestras and Asheville Contemporary Dance Theatre. Located in Brevard, the Brevard Music Center presents 80+ performances during a 7-week span each summer. The BMC Summer Music Festival includes an exceptional line-up of symphony, opera, chamber, pops, jazz, country, bluegrass, and folk performances. Artistic Director Keith Lockhart is also Principal Conductor of the Boston Pops and BBC Concert Orchestra. Two of the country’s most highly respected men of letters, Thomas Wolfe and Carl Sandburg, resided in the area and both the Thomas Wolfe Memorial in Asheville and the Carl Sandburg Home near Hendersonville are available to tour. And, of course, no mention of the area’s cultural attractions would be complete without highlighting the incredible Biltmore Estate, America’s largest private home. George Vanderbilt’s 8,000-acre estate built in 1895 features spectacular gardens and a 250-room French Renaissance-style chateau. Ardenwoods’ 48 acres of lush rolling woodlands and stunning mountain views is traversed by three woodland trails. Surrounded by the beautiful Blue Ridge Mountains and over one million acres of protected forest land, the Asheville/Hendersonville area is renowned by those seeking outdoor adventures. Closely lies the incredible beauty of the Great Smoky Mountains National Park, Chimney Rock State Park, Mount Mitchell State Park, home of the tallest peak east of the Mississippi, and DuPont State Forest with its breathtaking waterfalls. One of the most famous scenic roadways in the U.S., the Blue Ridge Parkway, which runs from North Carolina to Virginia, is accessible less than five miles from Ardenwoods, as is the North Carolina Arboretum, featuring lovely nature trails, gardens, exhibitions and educational classes. There’s no shortage of fun, recreational activities in the Asheville/Hendersonville area. This is golf paradise, with the Great Smoky Mountains Golf Trails featuring 17 of the finest courses in western North Carolina, upstate South Carolina, and eastern Tennessee. Sports lovers can take in the NCAA Division I action of the Big South Conference UNC Asheville Bulldogs. Baseball fans can catch the up-and-coming stars of the minor league Asheville Tourists, the Class A farm team for the Colorado Rockies. Music mavens can immerse themselves in the multiple music festivals that occur throughout the area, including the famous Shindig on the Green in Asheville, the yearly celebration of bluegrass, string band, and Appalachian folk music. And railroad buffs can hop aboard the Great Smoky Mountains Railroad in nearby Bryson City for a scenic ride through the beautiful countryside of western North Carolina.